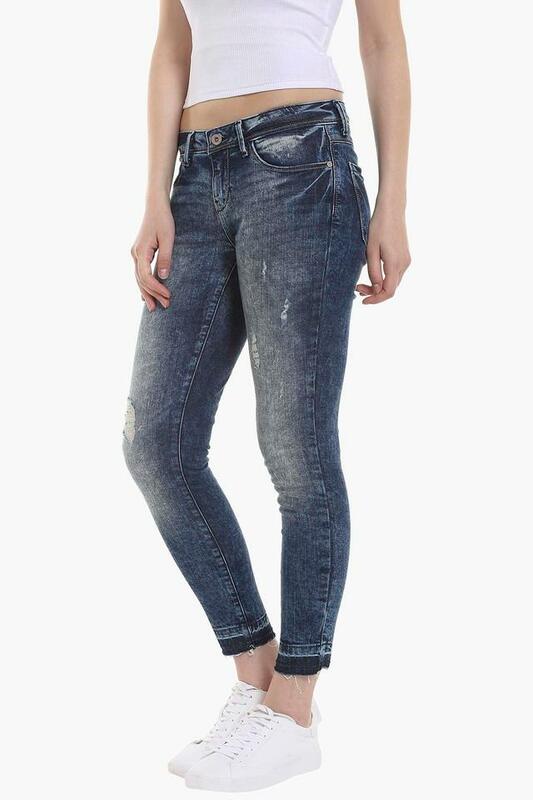 Make an instant impression by wearing this pair of jeans from the coveted brand Only. It has a refined finish and is quite comfortable to wear as it is crafted with care using a premium quality fabric. 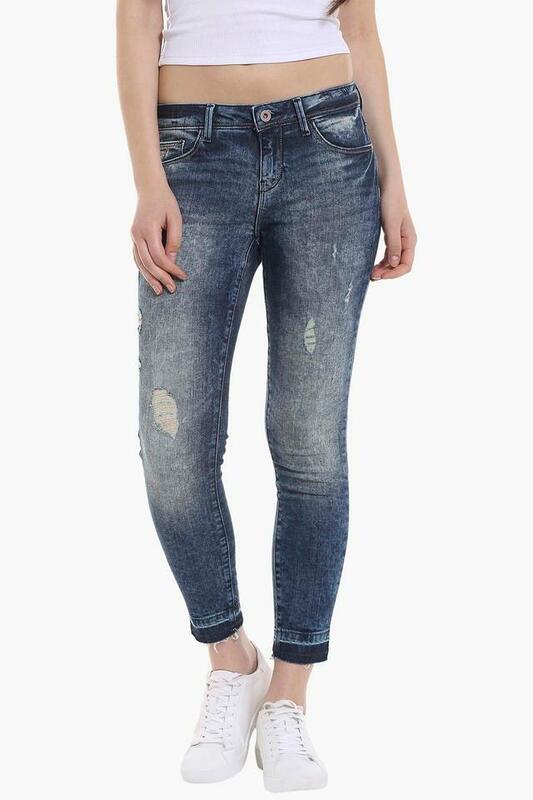 Moreover, it features a stone wash with distressing effect to lend it a trendy look. End your search for a trendy apparel to complete your casual look, opting for this pair of jeans will surely be a nice choice. You can team it with a top and a pair of canvas shoes to look cool. ONLY Is About You- And Only You. Each Product Is Created With This Special Feeling, Which Has A Mature Twist With A Focus On Feminine Strength, Self Confidence And Style.